I've got until November 30th to save about $200.00. Okay. Not having any Minimates to buy should definitely help. Wonder Woman looks bad. Green Lantern and Aquaman aren't great either. 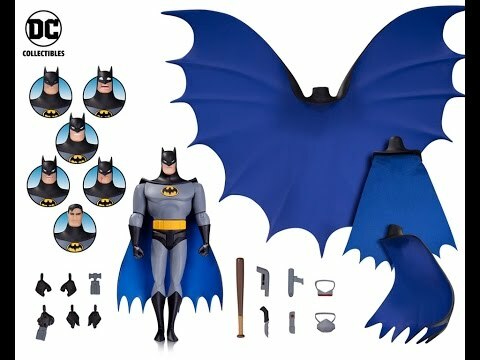 I think DCC is giving me a reason to stick with just BTAS for my collection. GL looks short. I'm not seeing any accessories yet. Wonder Woman without a lasso and Hawkgirl without her mace would be criminal. Hopefully the unboxing is truly revealing. According to this review, there are no accessories, apparently not even stands. Given the price, that's profoundly disappointing. It's Mattel all over again. Also these reek of getting re-released in some other manner in 6 months with all the parts. They really feel like placeholders and I'm not sure I want to pay THAT much for something that I'm not 100% happy with. As for the shipping, I'm seeing two stories. One is that the shipping is free if you order them individually (?!). The other is that shipping is not free if you buy the discounted 8-figure set, which is actually the better deal. I want to say, "Hey, how about I gladly pay shipping if you add alternate hands, heads, and accessories?" Zero accessories!? And Diana looks like she belongs in Foster's Home for Imaginary Friends with those long legs & short torso. Seriously!? This is what they come up with!? The BTAS/TNA figures look incredible. How did this happen!? It's the same animation style. Different sculpting team? Fire them, get the Batman people. WTF. Some of the promo pictures show different hands then what the figures come with and aquaman in the promo pics doesn’t have the hook. So we know there was more sculpted then what we are getting. It’s a matter of how we are gonna get screwed by either having to buy the figures twice or the other parts will never be released. 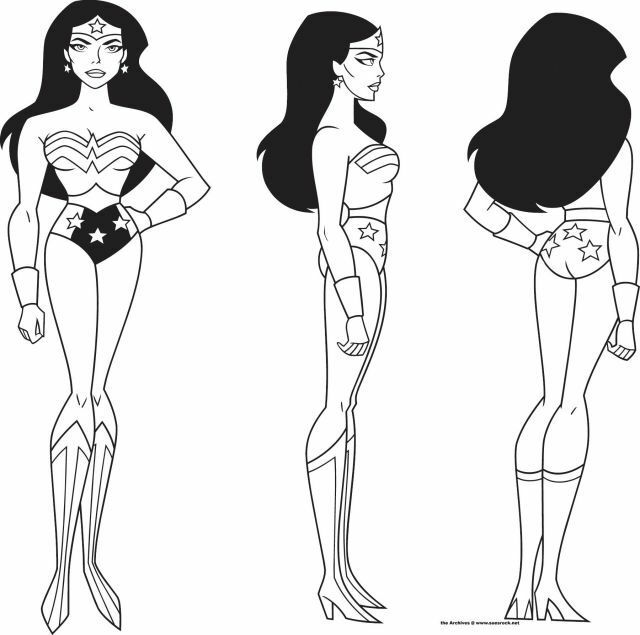 People seem to forget how ridiculous Wonder Woman’s proportions are on this show. They aren't as ridiculous as that figure. The...thing...in the middle, just...does not look good, IMO. And I desperately want it to. You're literally arguing for those ridiculously long legs to be even longer? In related news, the next wave of Batman figures has been solicited. Single cards, $28 each, WITH accessories. Not sure what DCU is trying to pull by cheaping out on props and/or alternate head sculpts with the JLU figures. Well. Let’s not forget how they like to delete accessories between now and release. Anyone remember how Ra’s Al Ghul came out but without a sword? True. That's probably the most disappointed I've ever been with DCC, especially with that enormous, gorgeous cape that was supposed to be in the Batman Expressions pack. Ugh. I don't recall DC Direct doing this. So I bought Wonder Woman and Hawkgirl, and unfortunately the figures aren't much better in hand. Wonder Woman's leg popped out in the package; I was able to pop it back in, but it's still a little loose. Her hips are strangely shaped, and her head unfortunately is not great. Hawkgirl is a better figure, but for some reason they decided to put her wings in the box separately, and I've had a hard time getting one of them to stay put. But really, the problem is that they are just figures. I could overlook the flaws of the figures if they had the same amount of accessories as the Batman figures. Hawkgirl doesn't have her mace; Wonder Woman doesn't have her lasso. These are defining features of these characters. And it's going to bug me that every other figure in this collection has a cool stand except for these two. I guess, if Martian Manhunter, Green Lantern, and Flash ever go on sale or something I will get them. I'm assuming that GL at least comes with his ring. It's like Green Goblin without his glider or Ghost Rider without his ride. As much as I was looking forward to getting these figures, every review I've read has been a disappointment. The utter lack of accessories is ridiculous. 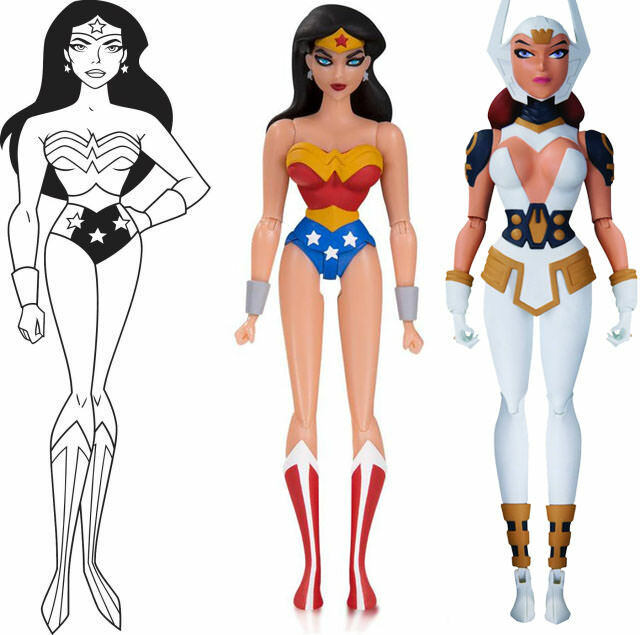 It's as if DCU needed an exclusive to lure in collectors like me and DCC said, "Hey, the Animated line is pretty hot. What if we hold off on soliciting these new Justice League figures, let you offer de-contented versions exclusively for a while, and we can solicit other versions in a year or so?" At least that's my hope. Given that Aquaman was originally seen with two hands, it would appear he was intended to have at least that much. I could probably handle no lasso for Wonder Woman but no mace for Hawkgirl is unforgivable. so DCC is continuing the line by now making up their own designed animated characters that were never in the shows. Uhhhh.....Why?? I understand not wanting to put out a wave of Clock King, TNBA Penguin, and the other scraps left (though I’d totally buy them) but why start making up your own stuff? There’s still Luthor, Brainiac, Darkseid, Lobo, Parademons, etc and all of the characters from JL (I’ll give them a pass on JL since they might be restricted) and things like the Fatal Five movie. It’s things like this, which won’t make me miss DCC if they are truely dead at the end of the year. Between the poor decisions, delays/cancellations, and constantly changing focus trying to collect their stuff is such a pain and usually disappointing. These releases make me really happy. I’d hoped they’d be willing to offer characters in the Timm style and here we are! And did anyone notice BTAS Two-Face from the GCPD set is also being offered on a single card? There’s no bad news from DCC’s booth for the Animated line as far as I’m concerned! That Two-Face is its own release. He wasn't a part of the GCPD set. Unless I'm missing something? The two face is new based on BTAS style. The GCPD was freeze, ivy, croc, bane, & Montoya. I know that. That's why I'm confused. 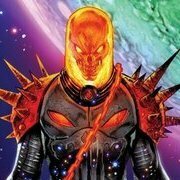 There wasn't a previously released BTAS Two-Face to be reoffered. All good, friend. I'm super pumped about that figure myself!